Wanting to start your own business and looking for ideas? Looking for support to grow your business? 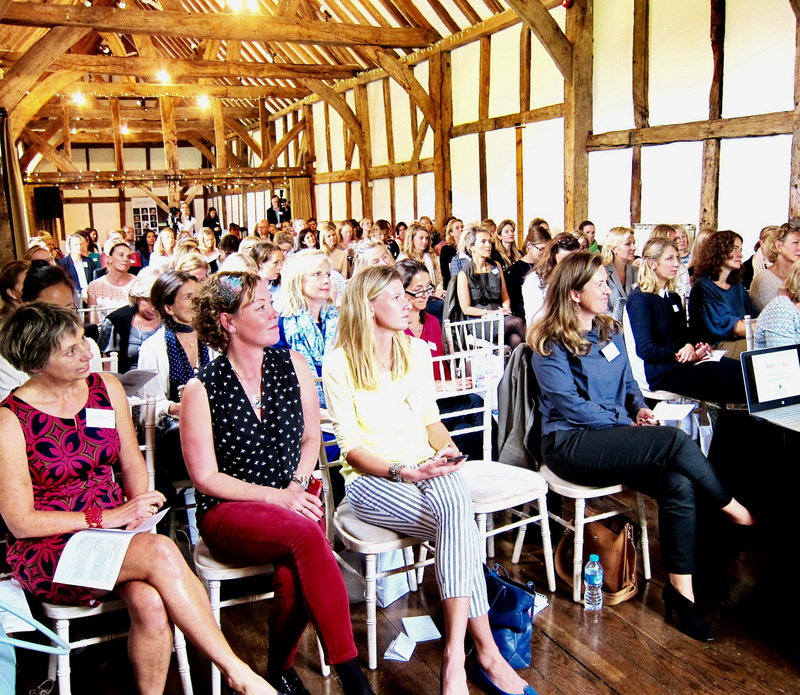 Join the Really Helpful Club and ViewVo for a day of inspirational talks and practical Round Table discussions to help you rediscover and reconnect with the workplace. 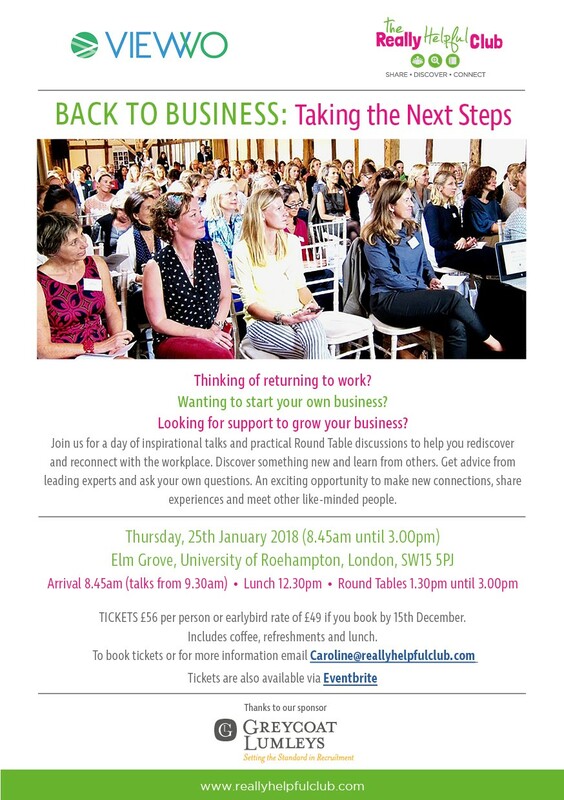 Whether you are returning to employment after a career break, setting up your own business or taking an already established business to the next level or just looking for ideas, you can discover something new and learn from others. This is an exciting opportunity to make new connections, share your own experiences and meet other like-minded people. Tickets £56 per person or earlybird rate of £49 if you book by 15th December. Includes coffee, refreshments and lunch. Here is a video of our previous event. Thanks to our sponsors Greycoat Lumleys, St James's Place Academy and Peacock & Co Solicitors for their support. Founder and CEO Adelpha. Independent corporate advisors to scale-ups. Formerly Head of Hedge Fund Strategy at Citi. 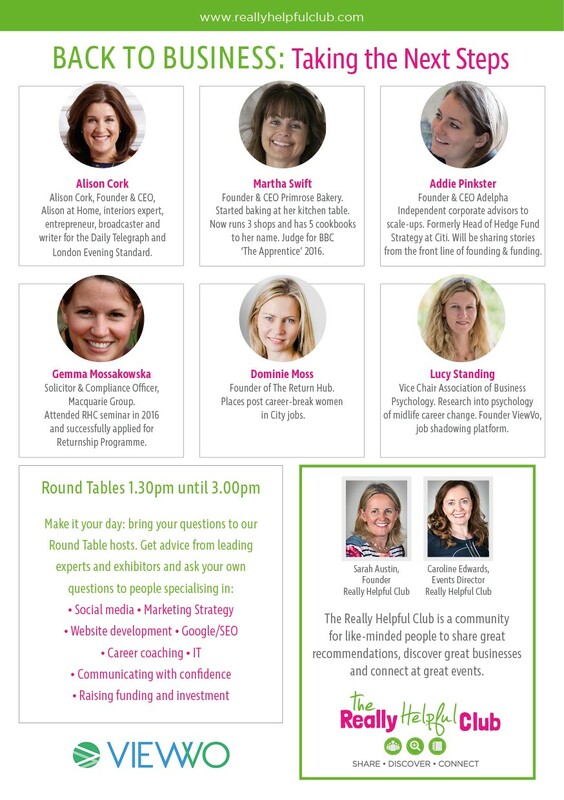 Will be sharing stories from the front line of founding and funding. Solicitor and Compliance Officer, Macquarie Group. Attended RHC seminar in 2016 and successfully applied for Returnship Programme. Founder of The Return Hub. Places post career-break women in City jobs. Vice Chair Association of Business Psychology. Research into psychology of midlife career change. Founder ViewVo, job shadowing platform. We hope that you can join us for this exciting and inspiring day.